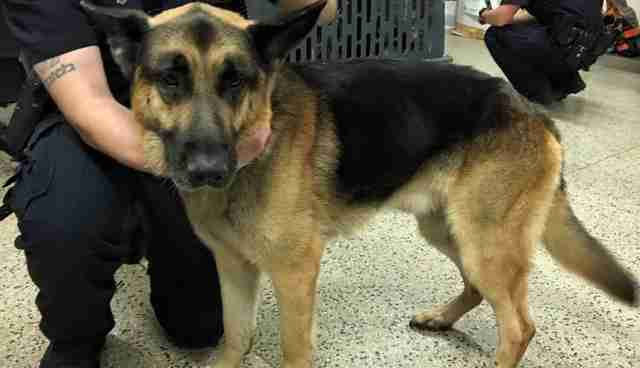 Bruno, a 6-year-old German shepherd, is a sweet dog who gets along well with other dogs and people. It's hard to believe that, just a few days ago, he was living in a packed car with 21 other dogs. Two weeks ago, Adore-a-Bullie Paws and Claws, a New York animal rescue, reached out to the woman who owned the car and dogs, after people reported seeing a person driving around the Bronx with many dogs packed into one vehicle. Adore-a-Bullie even offered free veterinary care and food for the animals, but the woman rejected the help. Kim Stein, cofounder of Adore-a-Bullie Paws, told The Dodo things changed last Saturday, when the owner of the 22 dogs finally contacted the rescue group - wanting help for a puppy who hadn't eaten in three days and had suffered a rectal prolapse. 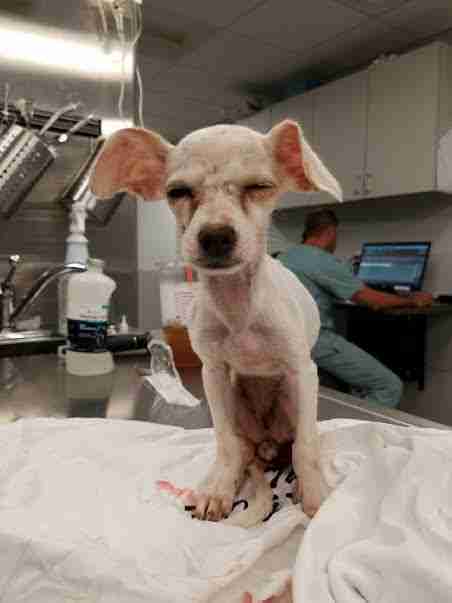 After turning the sick puppy over, the woman kept inquiring about when she would get the dog back. The rescue decided to get the authorities involved once it realized how severe the situation was and since the woman was unwilling to part with any of the dogs, despite her inability to care for them properly. New York Police Department (NYPD) officers tracked down the Mercedes-Benz SUV parked in the Bronx. 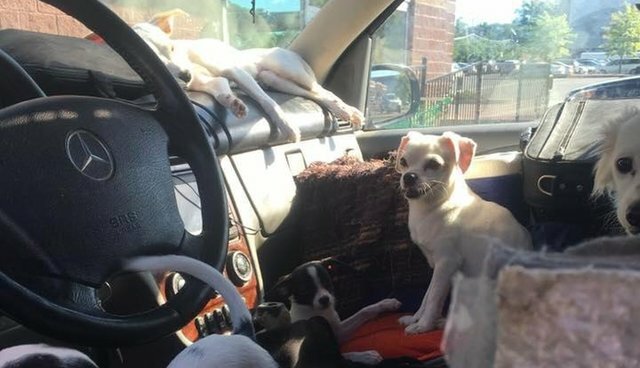 What officers discovered inside the vehicle was disturbing - nearly two dozen dogs, mostly puppies, trapped within the car's small confines on a particularly warm summer day. Not only were the pups subjected to the heat, but they lived in filth as well. 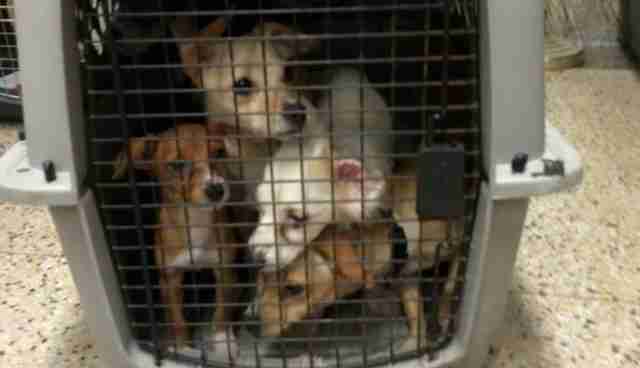 "We thought they were 12 dogs, but then they turned out to be 22," Stein said. "She turned out to be a classic hoarder." 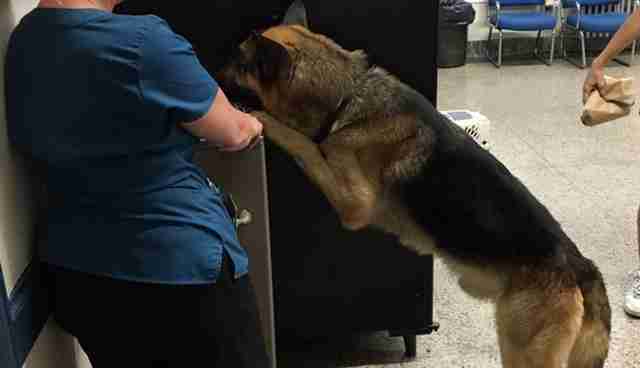 When officers finally rescued the remaining dogs on Monday, they realized they had come just in time. 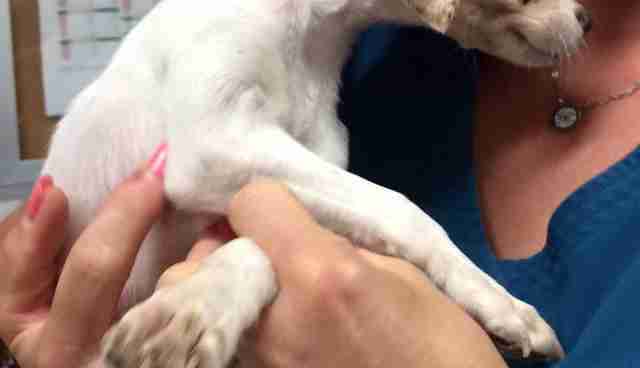 Several of the dogs faced a slew of various health conditions. 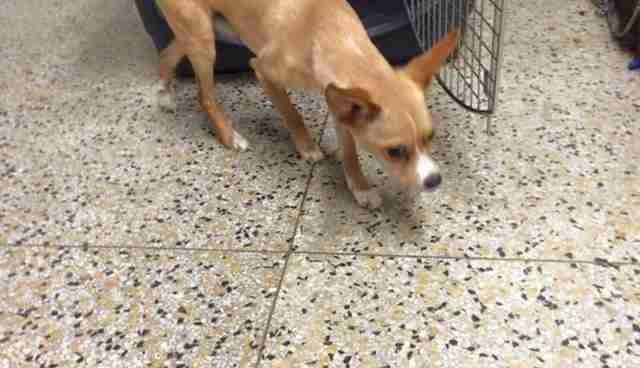 Bruno, who lived in a crate in the back of the vehicle, was underweight. 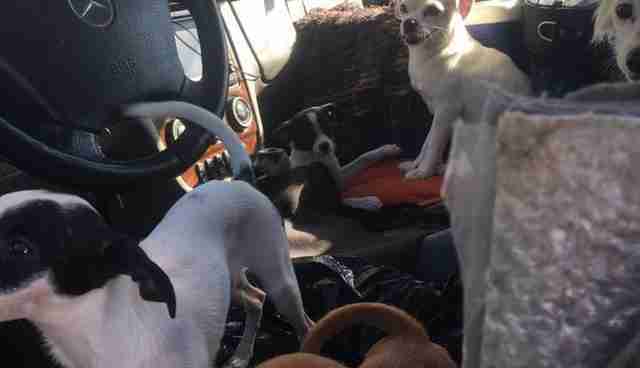 They were scared, and police said the awful smell that permeated from the filthy car suggested the dogs had been living inside of it for a long period of time. Stein said the woman got Bruno when he was about 2 years old - and that she believes most of the dogs have only known life inside the car. "If we hadn't stepped in, who knows how many more puppies would have been born within the next few months," Stein said. The owner of the dogs, a homeless 54-year-old veteran, was described as "emotionally disturbed" by officials and taken to a local hospital for treatment. 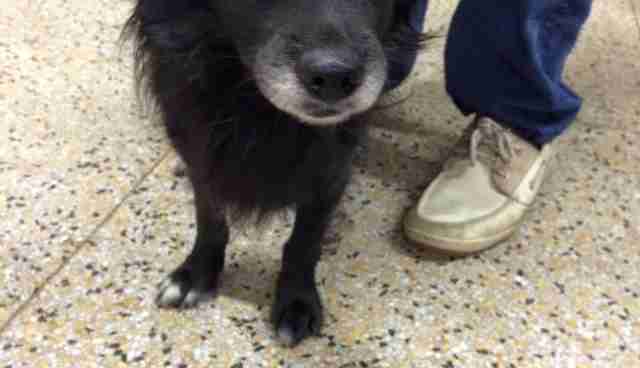 Thankfully, the dogs found with health issues are expected to recover fully. Bruno, also known as "Big Papa," has lived up to his nickname by being quite the fatherly figure to the younger and smaller dogs, who adore him. "He's the most incredible part about the story," Stein said. 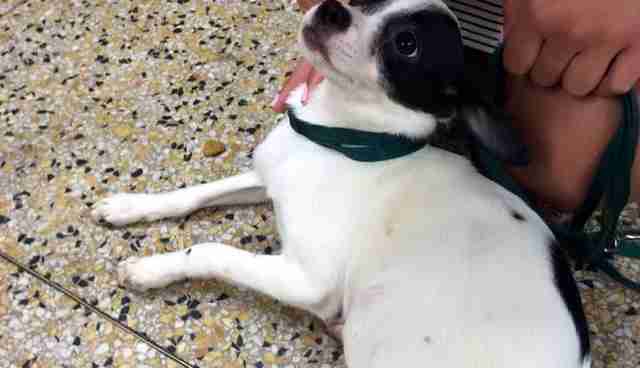 "He cried for every single puppy they took out of the car." 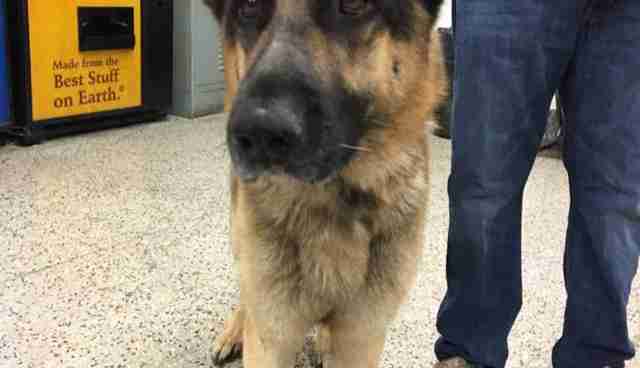 Later, when the puppies were reunited with Bruno at the police station, they all ran up to greet him. "They're doing great," Stein said. "They were very fearful at first because they didn't have much socialization, but they've opened up quickly." Do you live in the New York or Long Island areas and are interested in taking one of these dogs home? Click here and here to apply.